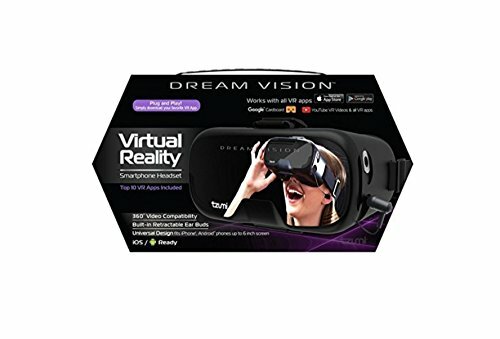 The DreamVision Virtual Reality headset brings your mobile phone into the virtual world. Simply place your smartphone into the headset, plug in the connected earbuds and enter a new virtual world. There are 1000s of videos and apps to choose from and more content being created daily! If you have any questions about this product by Dream Vision, contact us by completing and submitting the form below. If you are looking for a specif part number, please include it with your message.